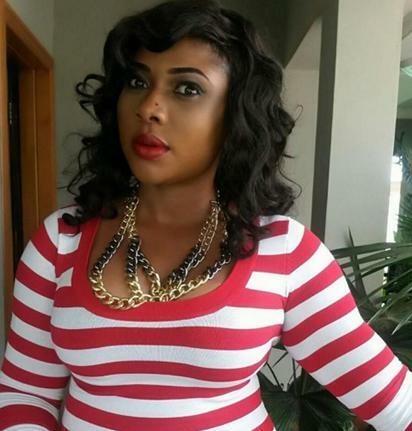 Lively and ever-bubbly Nollywood actress, Queeneth Agbor, has a thrilling Valentine’s Day story to tell. While many have had to take the bitter with the sweet, for the Akwa Ibom beauty, her own story is one that is almost life-changing, all thanks to her boyfriend. According to her, what happened on that special St. Valentine’s Day is the last thing she expected because she was having issues with her boyfriend. “Due to my stubbornness, me and my boyfriend had a serious issue three days to Val’s Day. Before the fight I jokingly kept singing Val’s song to him but he waved it away, saying there is nothing special about Valentine’s Day. He dismissed the whole idea and asked if we have not been celebrating Val every day. So, when Val’s Day came my mind was not there because he had already said nothing special and we had not been speaking for three days. I was filming on set when he called my PA to ask where we were and drove down to come and meet us. Luckily for me, I had one scene left and when he came we left together. We drove to my favourite shopping spot. At first I was still showing anger that he had not called me in three days and thought it was over between us. I shopped and shopped and almost didn’t stop picking stuff. He then picked a dress and said “Baby, this would fit you perfectly, try it on. It was a dinner dress”. From there we zoomed off for a romantic dinner date. After eating, he said, “I didn’t want the regular celebration it was time to spice things up so I decided to surprise you with this (showing me a car) because you deserve nothing but happiness my everyday Val. That’s how I got my car as my main Val gift. The post My best Val was day I stopped jumping into cabs and BRT buses – Queeneth Agbor appeared first on Vanguard News.